Once upon a time, two harpers led an audience into an enchanted forest of music, myth, and art. Twenty years later Forest Halls thrives as an imaginative realm of adventure, ancient wisdom, and nature’s secrets. 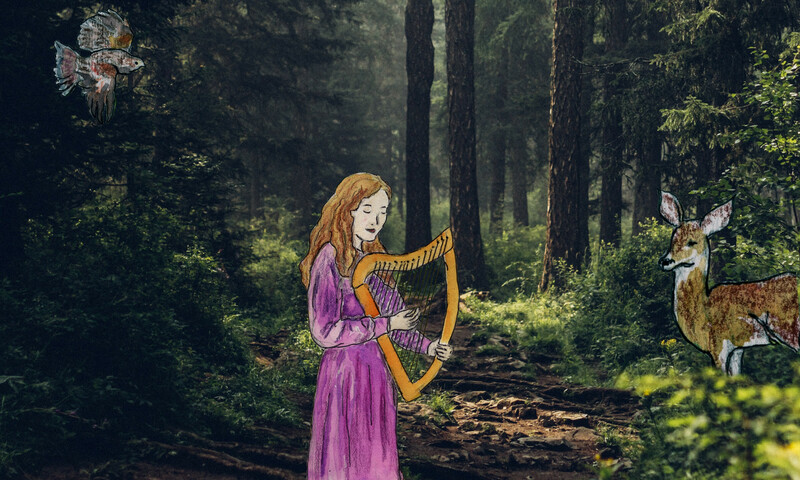 Forest Halls offers bardic harp and storytelling, books, music, comics, and other timeless nature-rooted magic to help families to strengthen and deepen their wild and wondrous ways together. 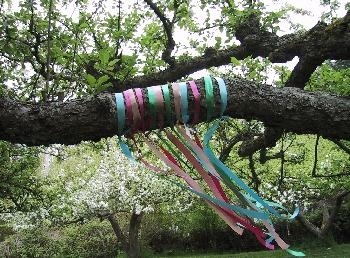 We celebrate the fun, beauty, and joy that is life all around us and within us in order to nourish families, community, the child in all of us, the future generations, and our earth island home. Thank you for joining us in the greenwood! “We have entered a deep, magical forest. Great ancient trees surround us … The paths criss-cross between all places and all times. We have no idea which one we should follow. We turn to the Keeper of these Forest Halls — the Green Man. Perhaps he’ll let us know which one we should take.